Dr. Trimble received his Ph.D. in 1987 from the University of Toronto where he worked in the laboratory of Dr. Nobumichi Hozumi studying the mechanisms responsible for cellular transformation by the ras oncogene. He then went on to do postdoctoral work with Dr. Richard Scheller at Stanford University where he discovered the VAMP protein, the first member of the family of proteins now known as SNAREs that are responsible for the fusion of membranes in virtually all cellular contexts. 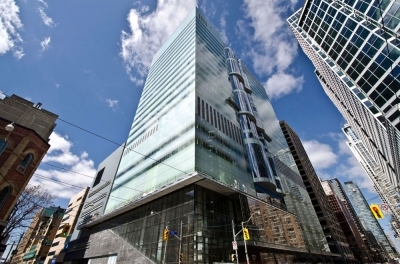 In 1990 he moved back to the University of Toronto and in 1996 to the Hospital for Sick Children where he is a Senior Scientist and Head of the Cell Biology Program. 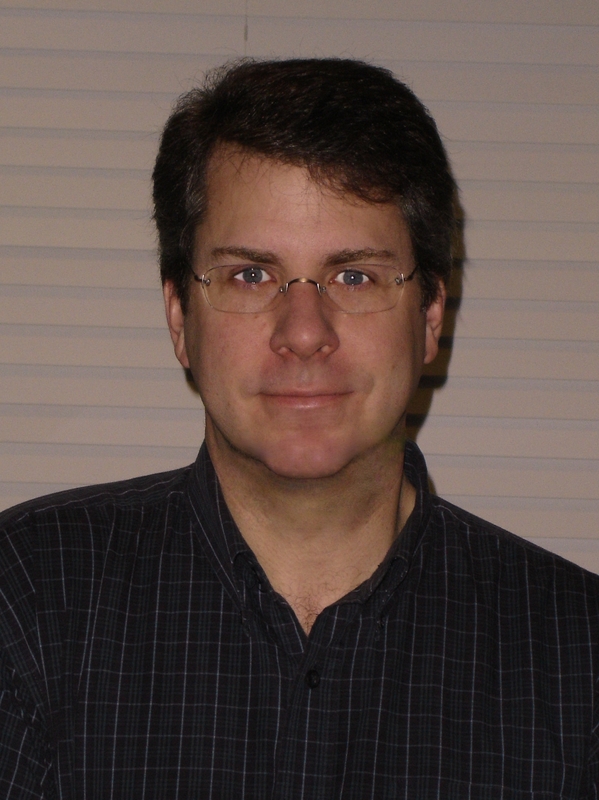 His research focuses on the basic mechanisms controlling a variety of cellular processes, such as membrane transport, lipid metaobolism and cell division, and how these go awry in diseases such as atherosclerosis and cancer. 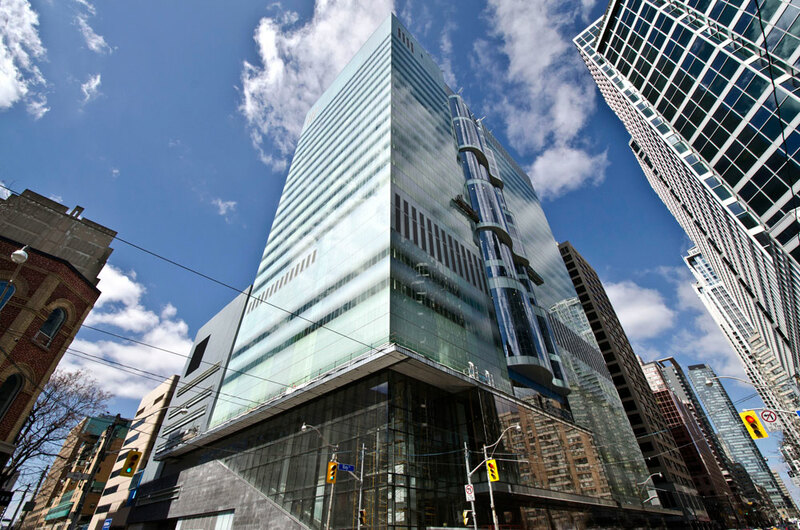 The Trimble lab is located within the SickKids Research Institute Cell Biology Program on the 19th floor of the state-of-the-art PCGRL building, in the heart of downtown Toronto. 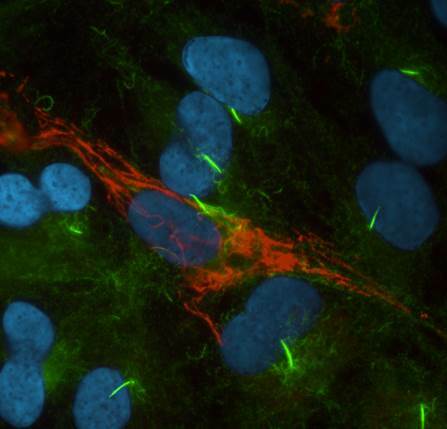 Using multidisciplinary approaches involving biochemistry, molecular and cell biology, our overarching aim is to investigate the mechanisms by which membranes and the cytoskeleton interact to control complex cellular processes. One area of focus involves the study of the septin family of cytoskeletal proteins and their roles as signaling platforms to control cellular activities such as cell division, cell migration and the development of cancer. A second area involves the study of membrane and cytoskeletal proteins implicated in the formation of the primary cilium, and their possible roles in cell and tissue polarity. Thirdly, we investigate how specific membrane proteins, such as the scavenger receptors CD36 and SR-B1, transport lipid into cells. Finally, we study the SNARE proteins that mediate membrane fusion and their regulators such as the AAA ATPase NSF, particularly in the context of neurotransmitter release. 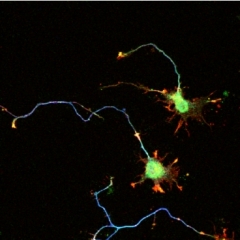 Only recently have the filamentous septin family of GTPases been recognized to be the fourth component of the cytoskeleton, and their interactions with other cytoskeletal proteins, as well as a host of other molecules, allow them to function as signaling platforms for many critical cellular processes. Alterations in septin experssion patterns have been linked to cancer and mutations in septins have been associated with human diseases such as male infertility and hereditary neuralgic amyotrophy. Ongoing projects in the laboratory are aimed at understanding the mechanisms controlling septin filament assembly, their contributions to signal transduction, and their specific roles in cytokinesis and cell migration. 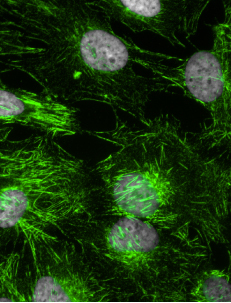 Primary cilia (green) project from differentiated hTert-RPE cells. The primary cilium is a central signaling structure, likened to the cellular “antenna”, found on most cells of the body. Defects in cilia formation lead to a range of diseases and ongoing studies are aimed at investigating how cilia are formed, what controls their length, and how this is associated with their signal transduction activities. For these studies we are using cell culture and animal models including mice and zebrafish. 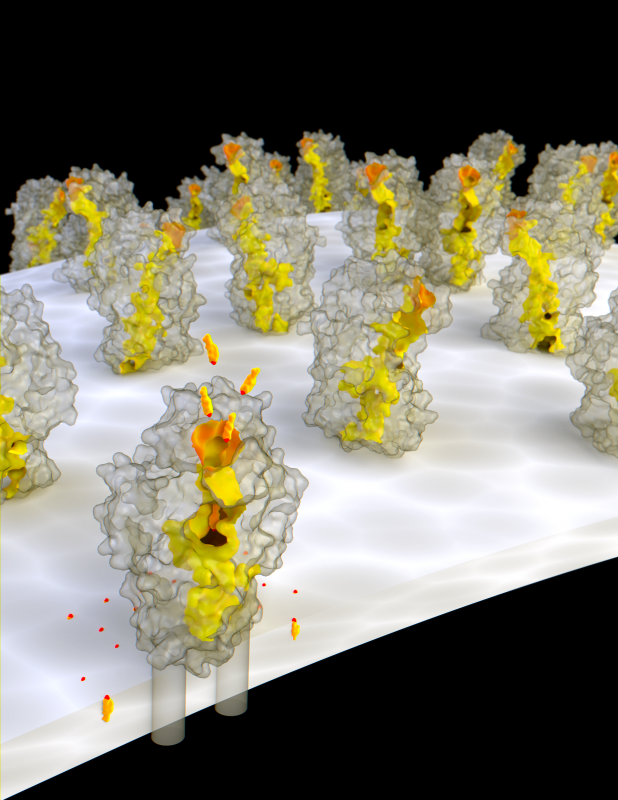 Stick model of SR-B1 with cholesterol molecules (orange) traversing the hydrophobic tunnel (yellow) directly into the plasma membrane (white). Courtesy of Chris Collins. The SCARB family of scavenger receptors (CD36, SR-B1 and LIMP II) are broadly expressed proteins that serve as receptors for a number of ligands including the lipoproteins HDL and LDL. These lipoproteins control the homeostatic balance of cholesterol levels in the body and their proper function is important for protection against atherosclerosis. By determining the crystal structure of the SCARB receptors we and our collaborators showed that they contain a hydrophobic tunnel through which cholesterol can directly transit from the lipoprotein to the plasma membrane. Future studies will involve further characterization of this novel mode of lipid transport, and determination of the relative contributions of endocytosis and direct transport in cholesterol homeostasis. We have a longstanding interest in understanding the mechanisms controlling membrane fusion by the SNARE proteins and their regulation. In particular, recent work has focused on the AAA ATPase NSF which functions as a helicase to unwind the SNARE complex. Future directions will involve characterizing the role of APT hydrolysis in NSF helicase activity and the development of novel methods to monitor protein conformational changes. The cellular response to small molecules is defined by biological and structural chemogenomic signatures. Lee, AY, RP St. Onge, M Proctor, IM. Wallace, AH. Nile, PA. Spagnuolo, Y Jitkova, M Gronda, Y Wu, MK. Kim, K Cheung-Ong, N Torres, ED. Spear, M Han, U Schlecht, S Suresh,G Duby, LE. Heisler, A Surendra, E Fung, M Urbanus,M Gebbia, E Lissina, M Miranda, JH Chiang, AM Aparicio, M Zeghouf, RW Davis, J Cherfils, M Boutry, CA.Kaiser, CL Cummins, WS Trimble, GW Brown, AD Schimmer, VA Bankaitis, C Nislow, GD. Bader and, Guri Giaever. 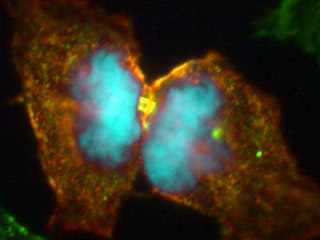 Mitotic regulation of SEPT9 by Cdk1 and Pin1 is important for the completion of cytokinesis. Structure of the scavenger receptor LIMP-2/LGP85 provides functional insights; implications for SR-B1 and CD36. Neculai, D, Schwake, M, Ravichandran M, Neculai, M, Loppnau, P, , Seitova A, Collins, R, Plumb, J, Zunke, F, Peters, J, Trimble, WS, Saftig, P, Grinstein, S, Dhe Paganon, S.
Multimolecular signaling complexes enable Syk-mediated signaling of CD36 internalization. Uncovering the principles that control septin-septin interactions. The cytoskeleton reduces the diffusional dimensionality of CD36 promoting its aggregation and signaling. Jaqaman, K, H Kuwata, N Touret, R. Collins, W Trimble, G Danuser and S Grinstein. Distinct roles of septins in cytokinesis: SEPT9 regulates exocyst localization during abscission. Septins regulate developmental switching from microdomain to nanodomain coupling of Ca2+ influx to neurotransmitter release at a central synapse. Mammalian Sept2 is required for scaffolding non-muscle myosin II and its kinases.